According to the City of Tucson Arizona's website, the starting salary for a rookie Police Officer is $45,965. Now imagine you're a new cop in Tucson out on patrol. You're driving around and your eyes happen to wander. Maybe you see something suspicious or maybe you just see someone attractive walking buy. Whatever the reason, your eyes aren't on the road in front of you. 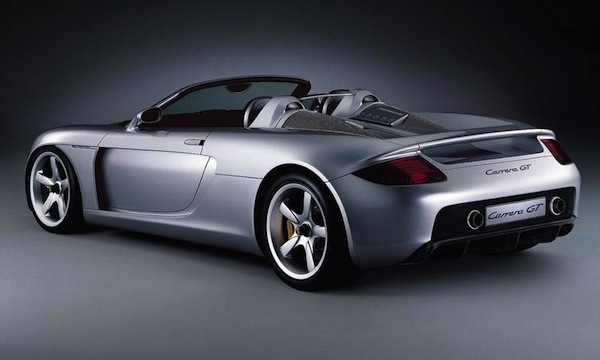 If they had been, you most surely would have seen the 2004 Carrera GT in front of you and wouldn't rear-end it causing damages nearly equal to a year's salary. While we don't know the cause of the accident, or if the driver of the police car in question was a new cop or a veteran, thanks to the Arizona Daily Star we do know that last October a Tucson Police Department vehicle rear-ended a 2004 Carrera GT valued at nearly $370,000 (at least before the accident). The Porsche suffered damage to its right taillight, an exhaust pipe and its bumper (all manufactured from exotic materials). Cost to repair the damages? $43,799. This past Tuesday the City Council voted unanimously to pay the repair bill in full. I wonder if they'll be hiring one less cop this year? Pic’s or it didn’t happen ! In the 50’s I lived in Stuttgart, home of Porsche. I owned a Carrera, with the four overhead cam engine with a 550 Spyder exhaust. I sough to sell the car for $3000 through the Porsche distributor in Stuttgart. It required three months to find a buyer! I also owned a MB-Gullwing. It was sold for $4000. Had I sat on both, I could retire today. In those days no speed limits on the entire Autobahn, nor on Italy’s Autostrada. Those days are gone.